We recently had the pleasure of giving B-Guided TV a tour of Southbank Theatre as part of their short series on things to do in Melbourne. The tour included a quick look inside one particularly original part of the theatre – the level one toilets. We’re always amazed to learn how many of you have never seen the incredible wall designs in the level one ‘loos, so in case you’re one of those who haven’t yet paid them a visit, here’s a close up look – ladies first. In keeping with the theatre environment, the images you see are all reproductions of historical scenic art backdrops from theatre productions. The original backdrops were painted on canvas, 50 × 30 feet in size or larger, and only existed as sepia toned photographs in the Arts Centre Melbourne’s Performing Arts Collection – until we recreated them as large format full colour images, printed them on special material, and carefully adhered them to the bathroom walls. 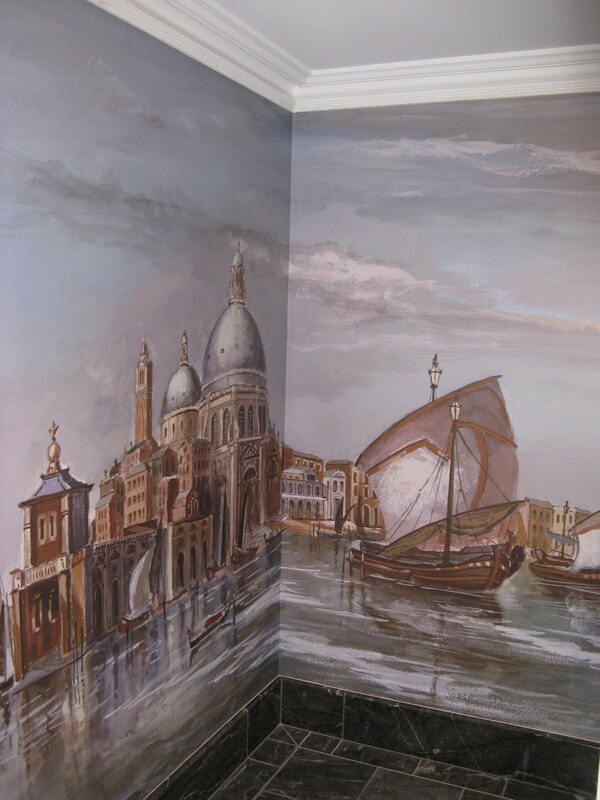 It’s not often that you see a Venetian vista or a scene from ancient Egypt in your bathroom, is it? What’s your favourite thing about Southbank Theatre?